Nursing is an incredibly diverse, incredibly vast field. It’s one of the largest professions in the country and covers a variety of specialties and career paths. There are very few other occupations that offer as many choices in places to work, areas to specialize in, and degrees to use. There is no single educational path to employment, and you can choose from multiple degree options when pursuing many of the careers. Tuition can vary widely depending on the state and locality, ranging from $3,500 for a community college to over $30,000 for tuition at a private or out-of-state university. In addition to tuition, you will have various other costs including books and clinical fees. This information can also be found at Top Nursing School. Find a certified nursing assistant program. In 2016, certified nursing assistants (CNAs) held over 1.5 million jobs. If you choose to become a CNA, you can expect to work full time at this physically demanding job. Nursing jobs of all types are considered to be emotionally and financially rewarding. Learn more about what it takes to begin your career as a certified nursing assistant. The only difference between the nursing assistant and certified nursing assistant position is the fact that the CNA passed the certification exam. CNAs can make higher salaries and may find employment a bit easier. Other than that, tomatoes, tomahtoes. However, some places will hire you as an NA and train you to pass the exam. Depending on your level of training and the state you are employed in, you may be able to give medication to patients. However, you cannot draw blood (unless you’re also a phlebotomist) or perform any type of diagnostic tests. If you find work in a nursing home, you will be considered the primary caregiver to the patients in your charge. You’re in regular contact with the patients, so you should expect to develop close relationships with them even though you’re part of a healthcare team. If you are patient, empathetic, and compassionate—and you have good physical stamina—then you have qualities perfect for the position and nature of the job. A career as a nursing assistant is a good choice. You could stay in this role until retirement, or you can start out as a NA and further your education to become another kind of nurse. Have either a high school diploma or GED. Go through a CNA program through either a medical facility, community college, or a trade school. Programs last 6-12 weeks. Learn the basics of nursing and participate in supervised clinical work. Become certified by passing the state-issued exam, which has a combination of multiple choice questions and hands-on skill demonstration. Keep your license active. You will need to take 48 hours of continuing education every two years. If you have an associate or bachelor’s degree, finding a job may prove to be easier for you than for those with a certificate of completion. The median annual wage for CNAs is $26,590. However, when you’re just starting out, you’ll bring home a bit over the $20K mark. Once you’ve been working in your career for a few years, you can earn a salary of more than $37K. You can also look into the top-paying industries and workplaces, which are the government, hospitals, and nursing care facilities. These pay salaries a bit above the median. Employment of CMAs is expected to grow 11 percent through 2026, which is faster than the average for other occupations. This is due to the fact that baby boomers, one of the largest parts of the U.S. population, are aging and going into long-term care facilities. This means, in turn, more nurses will be needed to care for these patients. Start your LPN training today! Becoming an LPN is another way for you to get your feet wet in the healthcare field without having to be in school for years. It’s also a starting point for furthered education and employment opportunities within the nursing field. There’s absolutely zero difference between the two types of nurses aside from the title. In Texas and California, a licensed practical nurse is called a licensed vocational nurse.That’s where their differences end. As they say: A rose is a rose, and an LPN is an LVN—and vice versa. Measure and record the blood pressure, weight, height, pulse, temperature, and rate of respiration of patients. All of the information will be documented and reviewed by the medical team in order to make an accurate diagnosis. Your job is a little bit of everything, from nurse to home health aide, and therapist to family member. You need to be physically and mentally fit to get the job done. Your communication, both verbal and written, has to be exceptional. You will need compassion, empathy, and patience, all of which will be called upon when you’re dealing with patients and their families. Community colleges and technical/trade schools usually offer LPN programs. Students generally start working within two years of beginning their schooling. Complete a state-approved program, either through a vocational/trade school or community college. Some hospitals offer LPN training programs, as well. Receive your certificate or diploma, which will take anywhere between one and two years. Complete your clinicals, which will teach you proper bedside manner and other soft skills necessary to the position. Get your license. You’ll have to pass the National Council Licensure Examination for Practical Nurses (NCLEX-PN). Maybe you will consider professional certification. You can specialize and become certified in gerontology, pharmacology, IV therapy, immunizations, and more. Find a job. But also, consider going back to school to become a registered nurse. 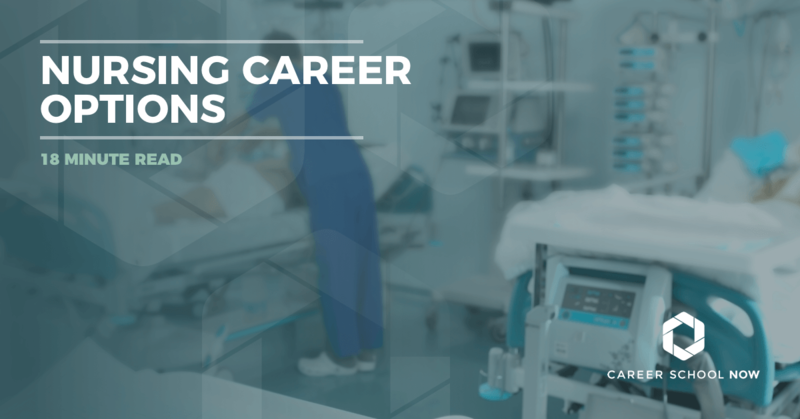 Your career advancement opportunities are wide open when you choose to go into nursing. This could include becoming an RN or completing your bachelor’s degree in nursing. There’s a bridge program available to you for either of those. If you want a higher salary, then you may want to consider advanced degrees. You can also move from patient care to an administrative role. As an LPN, if you’re working full time, then you can expect to bring home a yearly median salary of $44K. When you’re just starting out, your income will be more than $32K annually, but you can work your way up to a salary of more than $60K per year. You’ll find that the top-paying industries for LPNs are the government, nursing, and residential care facilities as well as home healthcare service, while the lower-paying options for employment are private practices and hospitals. The job outlook for LPNs is expected to grow 12 percent, which is faster than the average for all other occupations. The strongest need for licensed practical nurses will be in residential facilities and in-home care due to the aging baby boomers and chronic conditions affecting them. There is absolutely no difference between a licensed vocational nurse and a licensed practical nurse. The title of LVN is specific to Texas and California; the rest of the country calls the position a LPN. Both hold the same schooling requirements, provide the same duties, and need the same licensing. See licensed practical nurse (LPN) for more information. Between the rapidly advancing healthcare industry and the aging of the baby boomer generation, registered nurses are in high demand. If you’re seriously considering a job in the medical field and don’t want to complete years of education, then becoming a registered nurse could be the perfect career for you. Once you’re a full-fledged registered nurse, you’ll play a vital role on a team of medical professionals. Your duties will really depend on where you work and who you work for. Also, your shifts will look different if you’re specialized in, say, oncology versus addiction. However, the basic daily tasks are fairly similar across the board. Essentially, there are three ways you can go about becoming a registered nurse: Choose among a nursing diploma earned at a hospital, an associate degree, or a bachelor’s of science in nursing. There are a few diploma programs that you can find through medical facilities. These are becoming harder to find but remain a viable option. Expect to finish in about 16-22 months. The associate degree path takes 2-3 years to complete and makes you eligible for entry-level nursing positions. A bachelor’s of science will take 4 years to complete. All three options will include supervised clinical experience as part of the curriculum. Many RNs who begin with an associate degree proceed to get their bachelor’s degree through a special RN to BSN program. All states require registered nurses to be licensed. Once you graduate from an accredited nursing program, you must pass the National Council Licensure Exam for Registered Nurses (NCLEX-RN). From that point, you can choose to specialize in particular areas of nursing such as neonatal, pediatrics, and gerontology. Contact your state’s nursing board to find out more information since the requirements vary by state. See an overview of some of the courses you’ll take in a registered nursing program. Once you begin working as a registered nurse, your entry-level salary will fall around $47K per year. From there, you can expect to make more than $68K as a median annual salary. But once you’ve been working in the field for a few years, your pay can increase to $102K. You’ll find the top-paying nursing jobs within the government and in hospitals. Doctor offices and nursing homes generally do not pay as much. The employment rate of registered nursing is expected to grow 15 percent, which equates to over 430,000 job openings through 2026. This is faster than the average for other occupations. There are so many factors contributing to this growth including an increase in chronic illnesses. Employment opportunities at outpatient care facilities will grow the fastest—now, many procedures can be done without requiring an overnight hospital stay. Most of these need a registered nurse to supervise. Nurse practitioners (NP) are considered to be among the ranks of primary care providers. Because there seems to be a shortage of doctors (medical school is expensive and competitive, yo), nurse practitioners have stepped in to pick up the slack. You, a NP, will be more than qualified because of the amount of schooling and experience you’ll have in addition to your compassion, empathy, and patience you possess. If nursing is your passion, then you’ll want to know more about becoming an nurse practitioner. Nurse practitioners, aka advanced practice registered nurses, have different duties depending on which state they work in. You are kind of a registered nurse-physician hybrid, capable of doing things normally delegated to only one profession or the other. To become a NP, first graduate from high school. Then, you can embark on this exciting journey. Become a registered nurse. You can go through an associate degree at a community college or a four-year school where you’ll receive a Bachelor’s of Science in Nursing. Consider the following before deciding which degree to get: You have to have your bachelor’s degree before you can become an NP. Make sure the program you’re planning on graduating from is accredited, otherwise you won’t be able to sit for the NCLEX-RN, which you need to move onto the next step. After you pass the NCLEX-RN, you’ll work for 1-2 years as an RN before heading to graduate school. You need to decide if you want to just do the minimum to become a NP, which is a Master of Science in Nursing. This takes 18-24 months. If you want to get your Doctor of Nursing Practice degree, then that takes 2-3 years of full-time schooling. Although, you could completely do both, if you decide to. Per every state in the country, you have to have a license to practice. However, each state has its own requirements, so you’ll need to check in with your state to find out what will be expected from you. Common among all states: a master’s degree in nursing, a valid RN license, and pass a national certification exam. Decide if you want to specialize. You can focus on acute care pediatrics, adult gerontology, family NP, women’s health, and pretty much any other area of medicine. You may have to spend a few years training and getting your degree, but your paycheck will make it worthwhile. Although we do know you didn’t get into nursing for the money as much as because of the calling, you will earn a median salary of $107K. Once you’ve gotten a few years of experience, you could pull in more than $175K annually. The real bonus is that other nurse practitioners claim this is a highly emotionally satisfying career! There’s a nursing shortage that is going on right now. At the same time, there is a higher demand for better healthcare services. This is driving the job outlook for NPs to 36 percent (more than 56,000 job opening up) through 2026. This is much faster than the 5-8 percent average accompanying most other occupations. Online nursing programs are a great way to work and still get career advancement education simultaneously. Just don’t think that online classes will be any less demanding than your traditional path, because they aren’t. The benefit of doing online training while working is that it’s more convenient, not less challenging. When you enroll in online nursing school, expect a hybrid program combining classroom hours with your online classes. The clinical part of your program must be taken in person due to the hands-on aspect. Your online school will have an agreement with a medical facility where you’ll go to do the clinicals. Note: Make sure you’re working with an accredited program, otherwise you won’t be able to take the licensing exam!